In 66 AD, Nero ordered an attack on Judea and its surrounding territories to quell a variety of rebellions. He sent his trusted general Vespasian and an army of 60,000 to handle the job. The Romans were successful in taking Galilee and sections of Judea, but the walled city of Jerusalem held out. 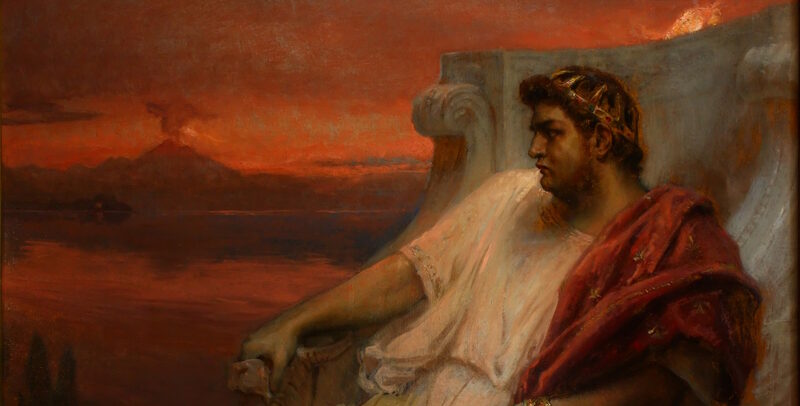 Nero died in June of 68 AD, and the Roman Empire was thrown into chaos. Ultimately, Vespasian was proclaimed Emperor and called back to Rome. Vespasian’s son, Titus, took over command of the Judean assault. By the spring of 70 AD, Titus and his three Roman legions advanced on the city of Jerusalem. After a brutal siege lasting months, the Romans finally conquered the city on August 30, 70 AD, and totally destroyed the Temple. The Arch of Titus in Rome still stands as a testament to the sacking of Jerusalem and the destruction of the Temple. It shows the Romans hauling off the seven-branched menorah and other religious instruments used in the Temple. This was dramatic imagery symbolizing the end of a centuries-old system of traditional rituals and animal sacrifices. Just as the writer of Hebrews predicted, the Old Covenant had been surpassed by the New. This is exactly what the historian Josephus reported. The Temple was so thoroughly destroyed that every stone was stripped from its foundation and thrown down off the Temple Mount. To this day, these huge stones lie here in Jerusalem as a testimony to that fateful event in Jewish history. After Vespasian’s death in 79 AD, his son Titus went on to be Emperor of Rome. He served until his death in 81 AD, when his brother, Domitian, took over power. Domitian ushered in a new era of hate and persecution against the Christians. Ancient historians described him as a violent madman who insisted on being worshipped as a god, and he started building temples to himself throughout the Roman Empire. In about 86 AD, one of these temples was built in Ephesus, and the people there were forced to worship Domitian and make sacrifices to him.